Michelle Putvin has joined La Cava & Jacobson, P.A. Michelle Putvin has joined the medical malpractice group of the civil trial defense law firm La Cava & Jacobson, P.A. as an Associate. https://www.lacavajacobson.com/wp-content/uploads/2016/11/lacava-jacobson-pa.jpg 600 600 wplacava https://www.lacavajacobson.com/wp-content/uploads/2016/12/lacava-jacobson-pa.png wplacava2013-10-01 14:12:502016-09-23 14:14:42Michelle Putvin has joined La Cava & Jacobson, P.A. Lou La Cava was a guest speaker at a meeting in Orlando, Florida. His presentation was an overview of medical malpractice litigation issues for physicians. Lou La Cava was listed by Florida Trend’s Legal Elite. According to Florida Trend, all attorneys in good standing with the Florida Bar were asked to nominate who they feel are the best attorneys in the state. The listing represents the top 2% of attorneys in the State of Florida. For the seventh consecutive year Lou La Cava has been voted by his peers as a Florida Super Lawyer. Only 5% of the lawyers in the state are listed as top attorneys in the state by Florida Super Lawyers. Lou La Cava, Justine Adamski and Barbara Chapman have been selected among The Top 1% Trial Counsel for Medical Malpractice Defense 2012 in Florida. The selection is based on peer review and medical malpractice trial performance in the previous 24 months. You can review information regarding this selection at MedicalMalpracticeLawyers.org. 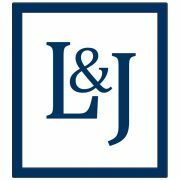 Kari Jacobson and Jonathan Ficarrotta taught a continuing education seminar entitled General Liability, Premises Liability and Auto Claims and Defenses. The seminar included the following topics: update on new/recent case law and statutes in Florida for claims examiners; defense of medical expense claims; and use of biomechanical engineering experts.